There are 366 different Starters of The Day, many to choose from. You will find in the left column below some starters on the topic of Algebra. In the right column below are links to related online activities, videos and teacher resources. Add 'em: Add up a sequence of consecutive numbers. Can you find a quick way to do it? BTS: You have four minutes to write down as many equations as you can involving B, T and S.
Cars: Calculate the total cost of four cars from the information given. Chin-Ups: Work out the number of chin ups the characters do on the last day of the week give information about averages. Christmas Presents: Work out the total cost of five Christmas presents from the information given. Connecting Rules: Give 20 rules connecting x and y given their values. Khmer's Homework: Check a student's homework. If you find any of the answers are wrong write down a sentence or two explaining what he did wrong. Know Weigh: Find the weight of one cuboid (by division) of each colour then add your answers together. Less Than: This mathematics lesson starter invites pupils to interpret a three part algebraic inequality. Light Shopping: A lamp and a bulb together cost 32 pounds. The lamp costs 30 pounds more than the bulb. How much does the bulb cost? Missing Lengths: Introduce linear equations by solving these problems about lengths. Negative Vibes: Practise techniques for answering questions involving negative numbers. Nincompoop: Which algebraic expression is the odd one out? Planet Numpair: The sum and product are given, can you find the two numbers? PYA: You have four minutes to write down as many equations as you can involving the given letters. Rabbits and Chickens: There are some rabbits and chickens in a field. Calculate how many of each given the number of heads and feet. Rail Weigh: Record the weights of the trains to work out the weight of a locomotive and a coach. A real situation which produces simultaneous equations. Same Same: A problem involving two people's ages which can be solved using algebra. Santa's Sleigh: Work out the number of clowns and horses given the number of heads and feet. Sea Shells: A question which can be best answered by using algebra. Simultaneous Occasions: A problem which can best be solved as a pair of simultaneous equations. Stable Scales: Solve these balance puzzles by taking the same away from both sides. An introduction to linear equations. Summer Holidays: There are some children and donkeys on a beach. Together they have 25 heads and 64 legs. How many children? How many donkeys? Think Back: A problem which can be answered by forming an algebraic equation then solving it. Ticker News: A Think Of A Number problem presented as a news ticker. Listen to the voice saying the algebraic expression then write it in its simplest form. Pupils begin their study of algebra by investigating number patterns. Later they construct and express in symbolic form and use simple formulae involving one or many operations. They use brackets, indices and other constructs to apply algebra to real word problems. This leads to using algebra as an invaluable tool for solving problems, modelling situations and investigating ideas. This is a powerful topic and has strong links to other branches of mathematics such as number, geometry and statistics. See also "Number Patterns", "Negative Numbers" and "Simultaneous Equations". eQuation Generator: An unlimited supply of linear equations just waiting to be solved. Project for the whole class to see then insert the working in your own style. Algebra In Action: Real life problems adapted from an old Mathematics textbook which can be solved using algebra. Algebra Pairs: The classic Pelmanism or pairs game requiring you to match equivalent expressions. Algebraic Notation: Simplification using the normal conventions of algebra. BIDMAS: A self marking exercise testing the application of BIDMAS, an acronym describing the order of operations used when evaluating expressions. BIDMAS Game: An online interactive game celebrating the order of mathematical operations. Brackets: Expand algebraic expressions containing brackets and simplify the resulting expression in this self marking exercise. Changing The Subject: Rearrange a formula in order to find a new subject in this self marking exercise. Clouds: Can you work out which numbers are hidden behind the clouds in these calculations? Collecting Like Terms: Practise your algebraic simplification skills with this self marking exercise. Completing the Square: Practise this technique for use in solving quadratic equations and analysing graphs. Connecting Rules: If you are given the values of x and y which of these equations is correct? Equations: A series of exercises, in increasing order of difficulty, requiring you to solve linear equations. The exercises are self marking. Factorising: Practise the skills of algebraic factorisation in this structured online self marking exercise. Function Builder: An interactive function machine for patterns, numbers and equations. Functions: An online exercise on function notation, inverse functions and composite functions. Graph Equation Pairs: Match the equation with its graph. Includes quadratics, cubics, reciprocals, exponential and the sine function. Identity, Equation or Formula? : Arrange the given statements in groups to show whether they are identities, equations or formulae. Iteration: Find approximate solutions to equations numerically using iteration. Matchstick Patterns: Create a formula to describe the nth term of a sequence by examining the structure of the diagrams. Missing Lengths: Find the unknown lengths in the given diagrams and learn some algebra at the same time. Nevertheless: Players decide where to place the cards to make an equation with the largest possible solution. Old Equations: Solve these linear equations that appeared in a book called A Graduated Series of Exercises in Elementary Algebra by Rev George Farncomb Wright published in 1857. Quadratic Equations: Solve these quadratic equations algebraically in this seven-level, self-marking online exercise. Quadratic Sequences: Deduce expressions to calculate the nth term of quadratic sequences. Simultaneous Solutions: Arrange the given pairs of simultaneous equations in groups to show whether they have no solution, one solution or infinite solutions. Stable Scales: Ten balance puzzles to prepare you for solving equations. Substitution: Substitute the given values into the algebraic expressions. Superfluous: Find a strategy to figure out the values of the letters used in these calculations. Think of a Number: Ten students think of a number then perform various operations on that number. You have to find what the original numbers were. Words and Concepts: Fill in the missing words to show an understanding of the vocabulary of equations, inequalities, terms and factors. Writing Expressions: Listen to the voice saying the algebraic expression then write it in its simplest form. Calendar Maths Investigation: Investigate the connection between the numbers in a T shape drawn on this month's calendar. Crossing the River: Two men and two boys want to cross a river and they only have one canoe which will only hold one man or two boys. Lamp Posts: What is the greatest number of lamp posts that would be needed for a strange village with only straight roads? Steps: Investigate the numbers associated with this growing sequence of steps made from Multilink cubes. Quadratic Formula Song: A song from Math Upgrade dot com. Simultaneous Equations (Elimination): This video demonstrates how to solve simultaneous equations by elimination. Simultaneous Equations (Substitution): This video demonstrates how to solve simultaneous equations by substitution. Simultaneous Equations Extension Exercise: An exercise that appeared in an algebra book published in 1895. It starts with basic questions but soon gets tricky! "Hi I love this thanks. Other things (or things I can't find!) are algebra with power to the power e.g. (2a^3)^2 and expanding brackets e.g. 4x(x+3), Thanks. 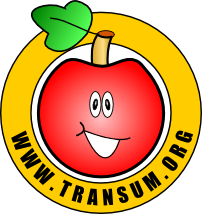 [Transum: Thanks for your comments Fleur. The first thing you mentioned can be found in the Indices exercise and the second thing can be found in the Brackets exercise. I hope that helps.]"